I found these noodles in a local 7-11 in Mong Kok, and seriously, there are 7-11s everywhereeee in Hong Kong and a lot of the Japanese snacks are fairly inexpensive (compared to the US) so this bag of noodle chips were about $1.50 which is a really good score for me! Baby Star does all sorts of noodle snacks and in different sizes, and as you can see from the pictures above, this one is thicker with 3 strips on noodles together. 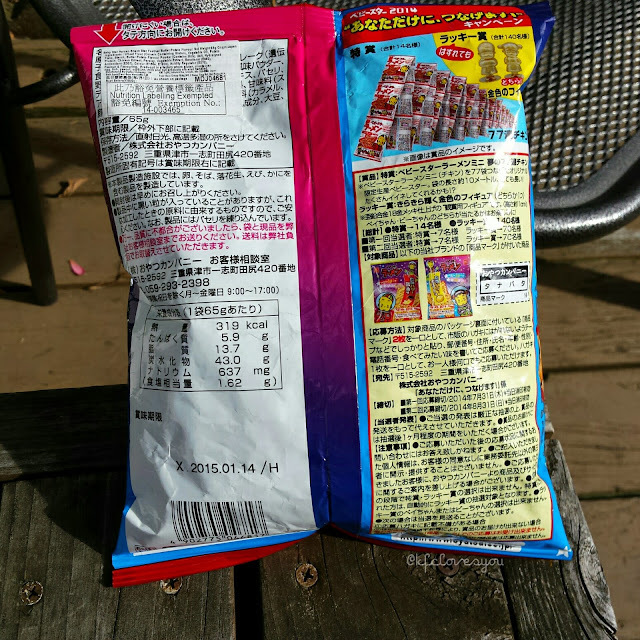 The powdery stuff you see is for the flavoring, and when Japanese snacks to anything 'butter' flavor, I am all over it! This one tasted extra delicious and I could really get a sense of a baked potato loaded with extra butter. I will say there was also some sweetness to it in a sweet corn/potage sense, but since I can't read the labeling, that might have been the case! 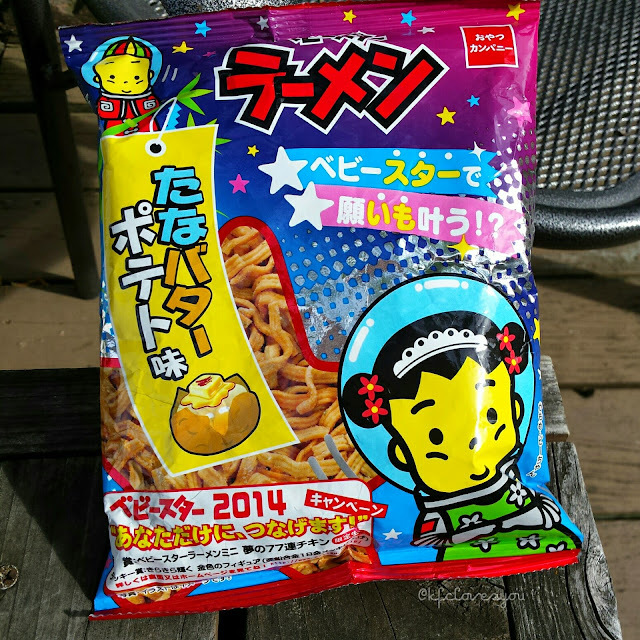 If you live in a country where you can buy Baby Star snacks on the regular (lucky for you! ), then see if you can find this flavor! 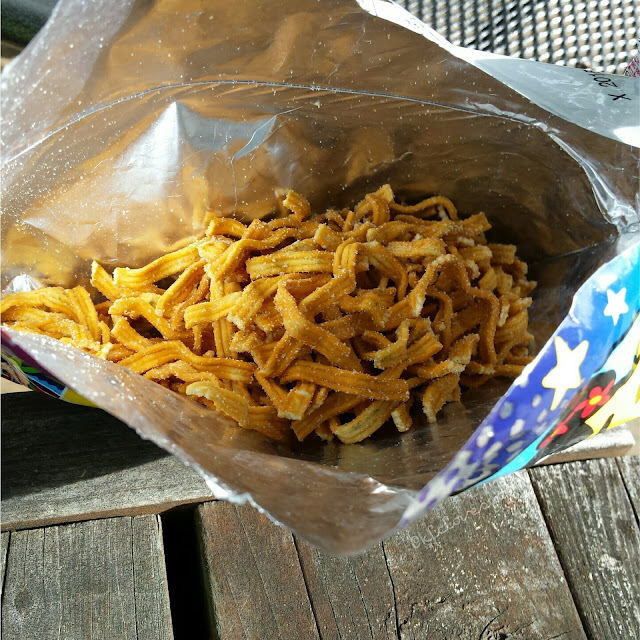 Readers, have you ever tried Baby Star noodle snacks? If you haven't, would you want to try it? 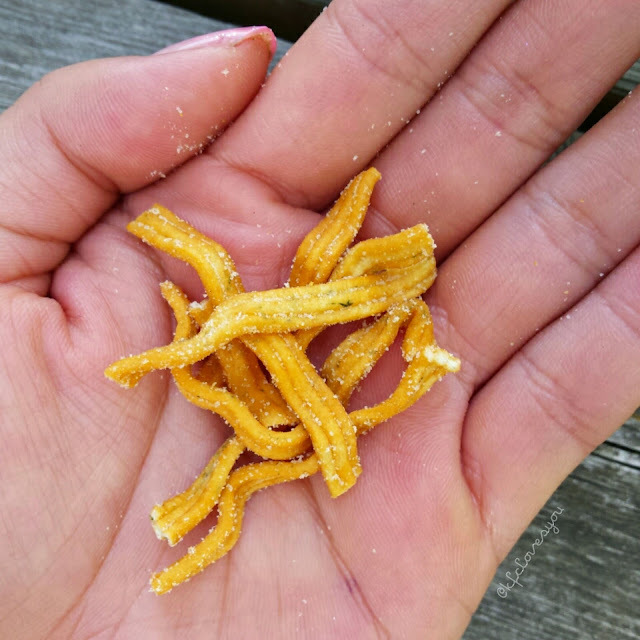 What are some of you favorite snacks out there? Let me know!